I was fortunate to attend a ten day intensive workshop on natural building at the Strawbale studio back in 2012. I acquired hands-on skills for building a small house that is adapted to the climate of our bio-region, and uses mostly the natural materials found here. There was a group of other students from all over the country, and we all camped out on the land getting a first hand experience of natural, cooperative living. We used outdoor showers, composting toilets, and took turns with cleaning and meal prep. Of course the meals used mostly organic and local ingredients, and were very delicious. All in all, the whole experience was greater than the sum of its parts. It was an immersion that showed me just what a permanent culture could look and feel like. 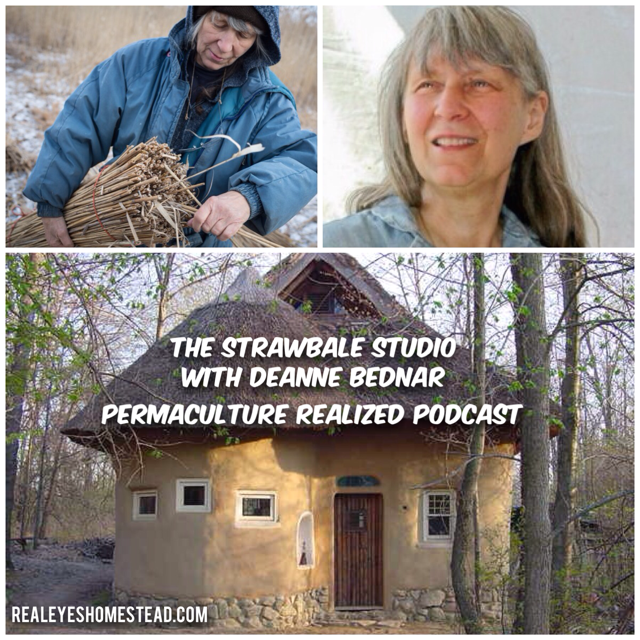 You’re about to hear how the Strawbale studio came to be, from the creator herself. As well as some of the nuts and bolts regarding thatch roofing and earth plaster. To make some sweeping statements, the conventional approach to building human shelter has become a highly regulated process using highly processed, expensive materials. The whole industry is a major contributor to the accumulation of waste and pollution. Beyond that, access to a standard home has become financially impossible to much of the global population. It seems like the solution is to use locally sourced, and re-purposed materials to construct a modest home, leveraging the cooperative efforts of many friends and neighbors. 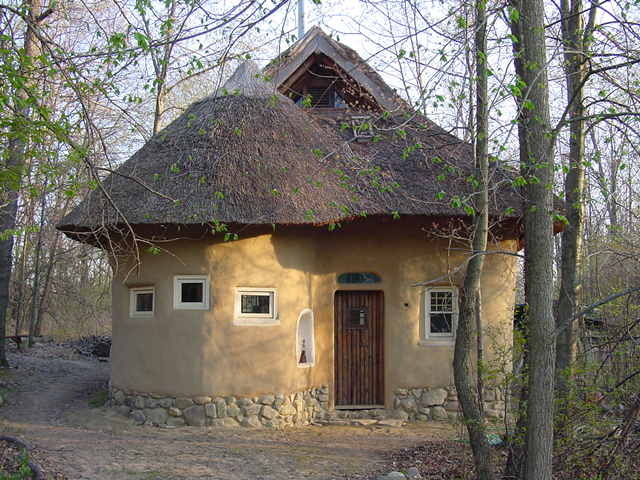 This is the approach of the Natural Building movement. And this is why it’s vital to have places like Strawbale Studio and the Cob Cottage Company making this alternative form of building accessible. Unfortunately many of these techniques are against the law due to outdated building codes that are biased towards the industrial materials and methods. Building ones own shelter is such a crucial part of being a human, that it should be a basic human right to do so. It could almost be seen as a right of passage for everybody to experience at some point in their lives. I invite you to join the natural building movement, and push for our rights to build our own shelters that are ecologically responsible, and accessible to all. Much respect for those, like Deanne who are leaders in this realm. That’s a wrap for this weeks episode of the Permaculture Realized Podcast. If you have any questions or ideas for Deanne, or myself, feel free to make a comment on the episode right here on this page.